Can't decide if you want white, rose or yellow gold? With a two-tone ring, your sparkler is sure to always match your other jewelry. 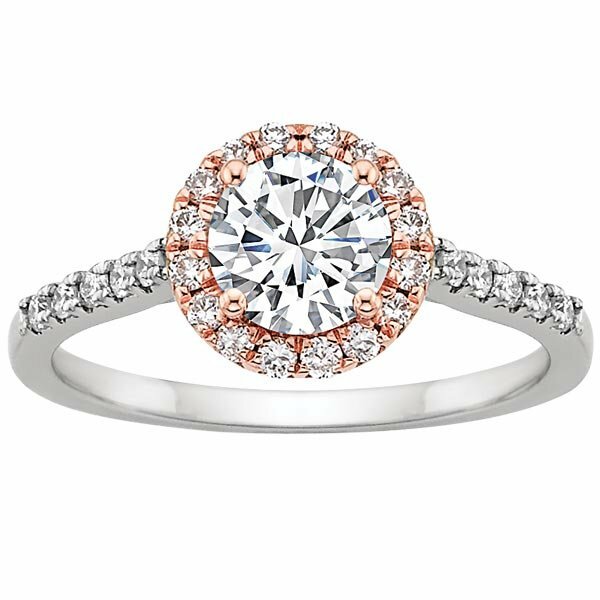 ￼18k white gold ring with a rose gold pavé halo by Brilliant Earth. 18k white and rose gold pavé solitaire ring by Natalie K.
Platinum and rose gold twisted pavé ring with cusion cut center stone by Harry Kotlar. Yellow gold band with white gold star setting by Marchesa Eternal Collection. ￼White gold ring with marquise diamonds set in yellow gold by Parade Design. ￼￼White gold diamond ring with yellow gold filigree by Carizza.